Boldly go where no man has gone before, and look great while doing it with this Star Trek Discovery Science Uniform in silver. 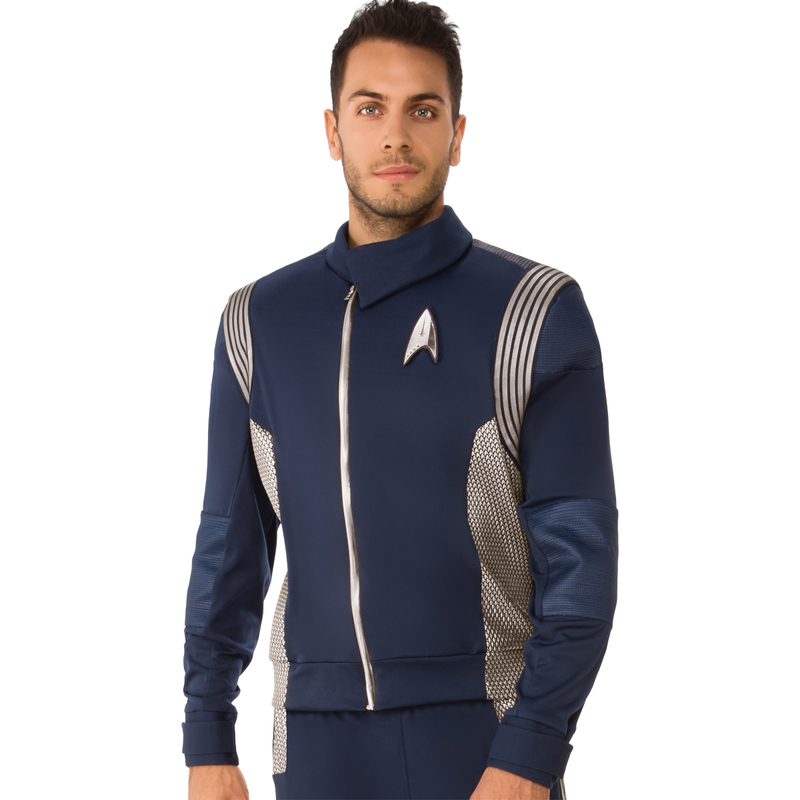 This blue top features an inner lining, a silver Starfleet emblem on the chest and additional silver accents. Pants are not included, only the jacket.